By Jake Rocheleau in General. Updated on September 24, 2018 . Digital prototyping is all the rage with so many tools for designers. But there’s good reason to stick to paper when you start prototyping. Prototyping on paper is a lot more free-form and it gives you room to experiment beyond the limitations of the mouse and keyboard. Only trouble is that the blank sheet of paper can feel so intimidating. 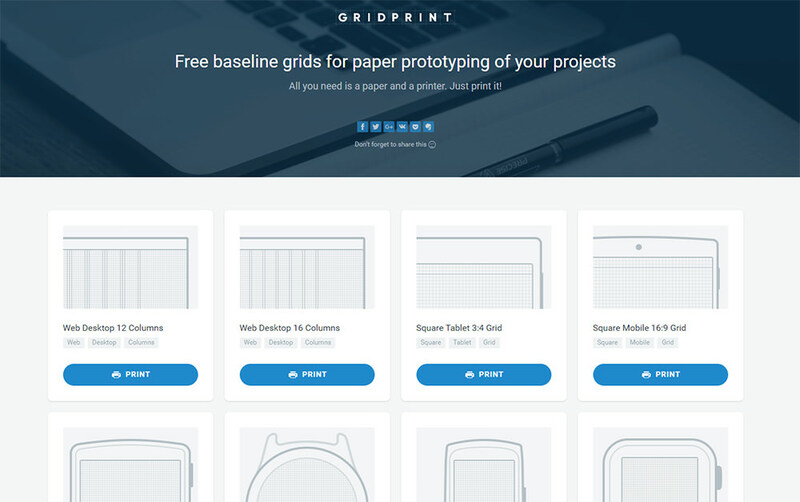 Gridprint is a free set of grid templates you can print and use for traditional prototyping. These grids come in many different styles with options for 12-col grids, 16-col grids, and even mobile device grids for tablets and smartphones. 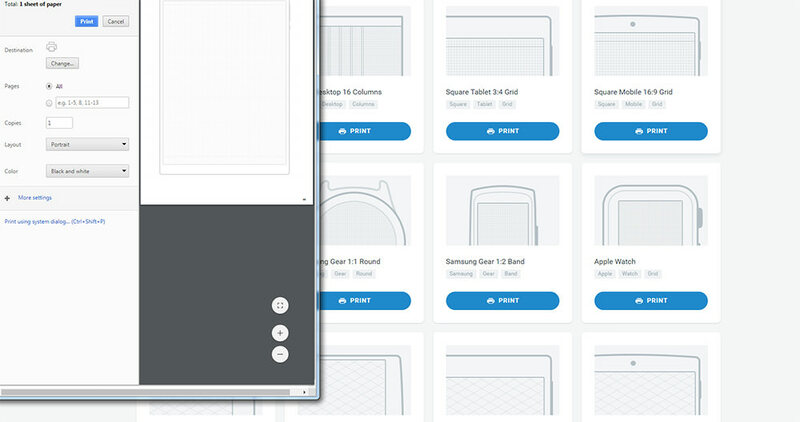 From the Gridprint homepage, you can browse through all the grids and choose the ones you wanna use. None are better than others, although some are better-suited for certain projects. For example, if you’re prototyping a mobile app or a responsive layout then you’ll probably want one of the landscape or portrait device grids. One thing I don’t like: these grids aren’t downloadable. But this means you need an Internet connection to access these grids. From what I can tell there’s no way to save them locally and print them in your own time. Kinda feels limiting since the templates are given away for free anyways. But with such attention to detail and so many varieties to pick from, I really can’t complain. This prototyping template set is great for any UI designer and it’s a much better way to start a new project than a blank page. Take a look at the Gridprint website to learn more. You’ll also find details on the site’s creator, Torus Andrey, lower down towards the footer. You can browse through his other work on Dribbble or even send a quick email with your thoughts on the templates.